Read our reviews & add your own! 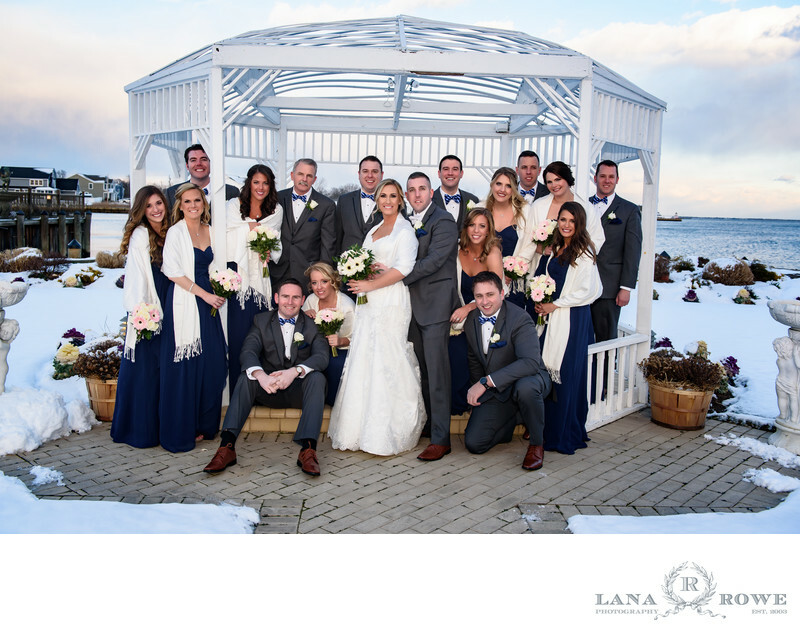 Wedding party winter wedding in Riviera caterers Massapequa waterfront with snow. Location: 200 E Shore Dr, Massapequa, NY 11758.